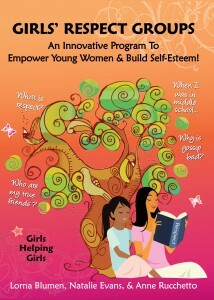 Girls’ Respect Groups #1: An Innovative Program To Empower Young Women & Build Self-Esteem! 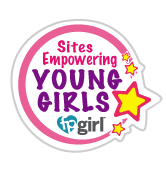 Looking for a great volunteer project for preteen and teen girls? Girls’ Respect Groups: An Innovative Program To Empower Young Women & Build Self-Esteem! will guide you step-by-step through the 6-week curriculum for Girls’ Respect Groups, a unique program for middle school girls, led by high school teen girls. Help middle school girls build networks of supportive girl friends and walk away from frenemies. Working together, both sets of young women explore how respect will affect the rest of their lives & learn to make choices rooted in self-confidence and self-respect. Learn how easy it is to start a GRG High School Leadership Program at your school or in your community. Train inspiring teen girls to become GRG leaders for middle schools. Build a positive community of Girls Helping Girls! 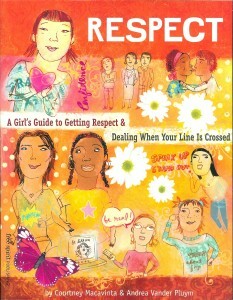 Girls’ Respect Groups cover with permission from Camberley Press Ltd.
Several years ago, Lorna, Anne & Natalie were working with schools & community groups in Toronto on Bullying Prevention issues. They began to realize that underlying bullying is a lack of self-respect & a lack of respect for others. They wondered how to tackle the problem even earlier, by helping kids understand & value respect, especially through those difficult middle school years. At the time, Lorna had just seen a copy of Courtney Macavinta & Andrea Vander Plyum’s wonderful book, Respect: A Girl’s Guide To Getting Respect & Dealing When Your Line Is Crossed. 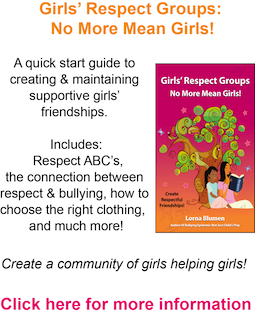 When Lorna, Anne, & Natalie started reading it, they knew it would make a great starting point for a respect program for middle school girls. They sketched out lesson plans & pulled together other great materials – games, poems, videos, self-assessment quizzes, role plays, etc. They started running the program in Toronto, testing it out in local middle schools. Fast forward a few years & here we are! 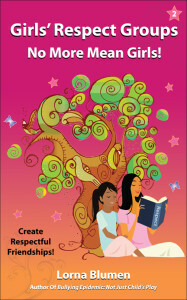 From the Publisher’s Website: This smart, savvy book helps teen girls get respect and hold on to it no matter what—at home, at school, with their friends, and in the world. Tips, activities, writing exercises, and quotes from teens keep readers involved. This “big sister” style inspires trust. Girls learn respect is connected to everything, every girl deserves respect, and respect is always within reach because it starts on the inside. This book is your guide to getting respect and keeping it.